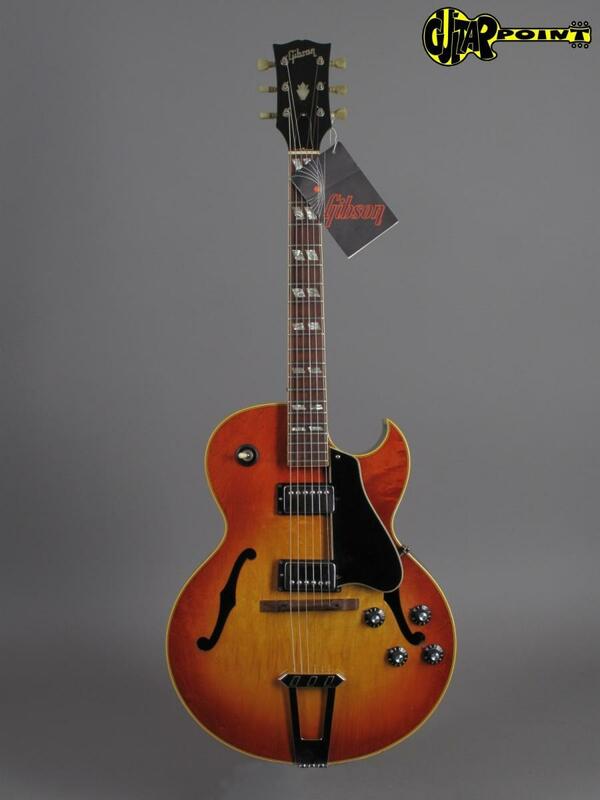 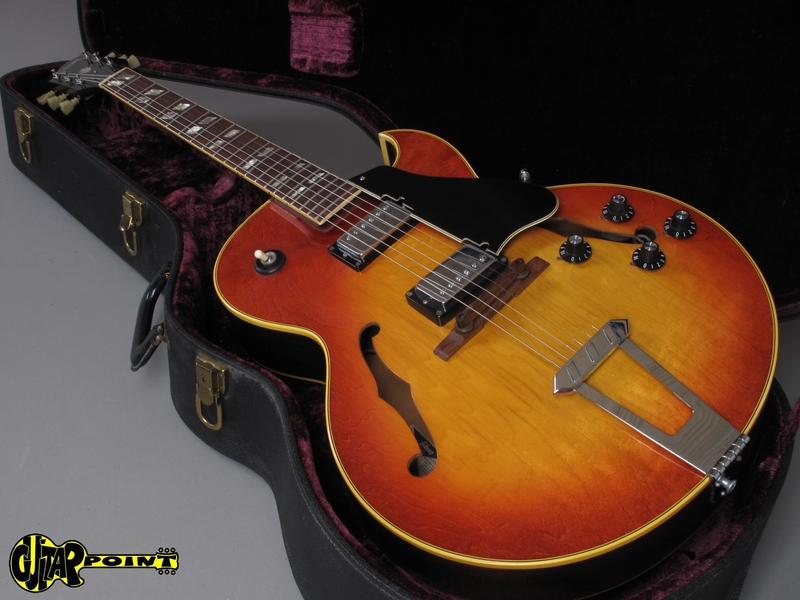 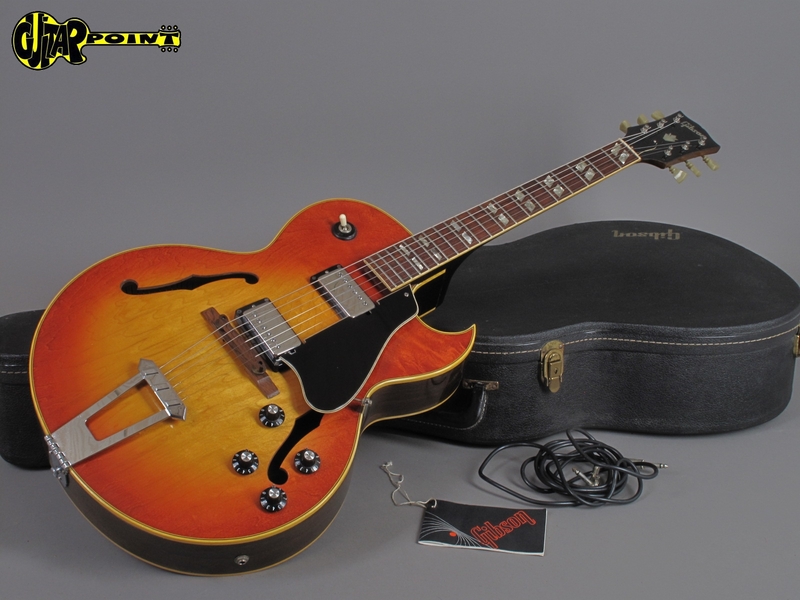 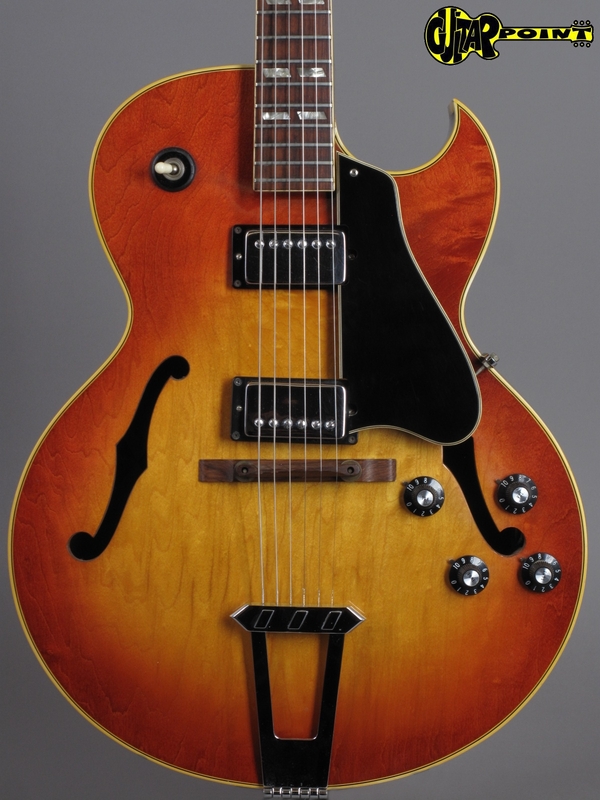 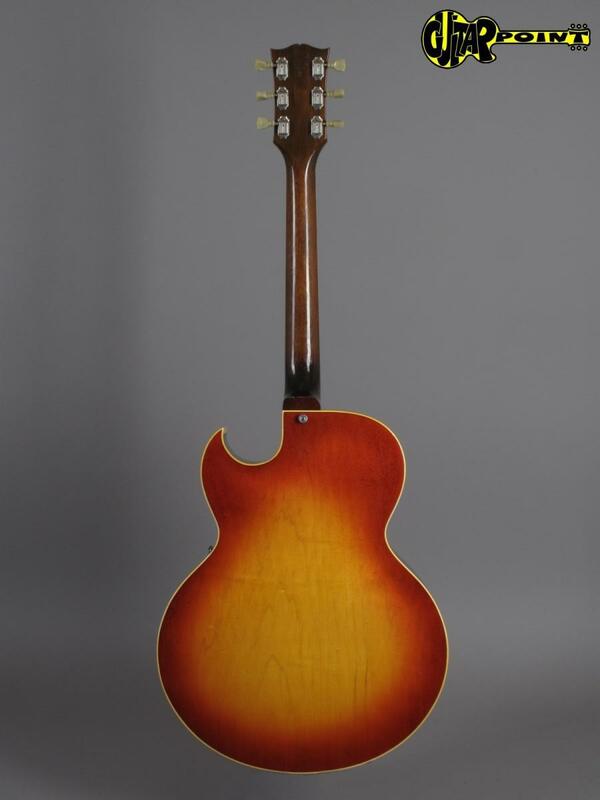 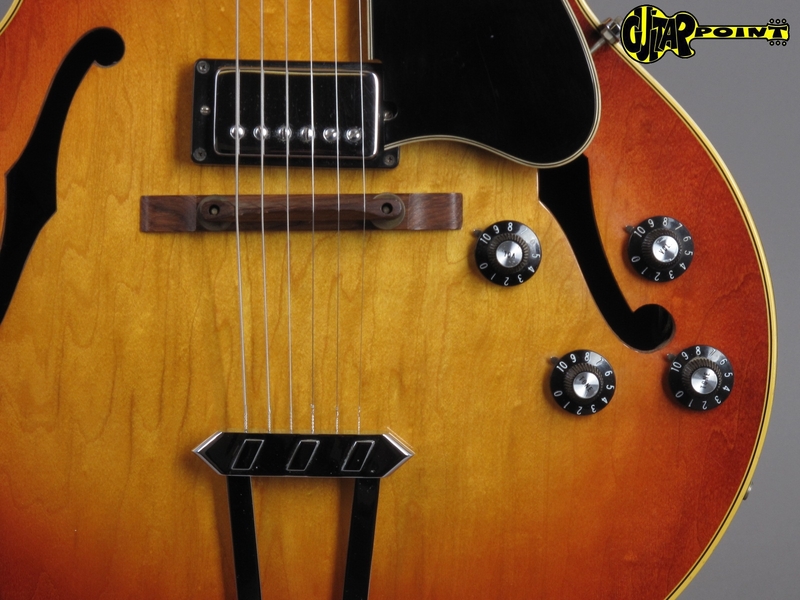 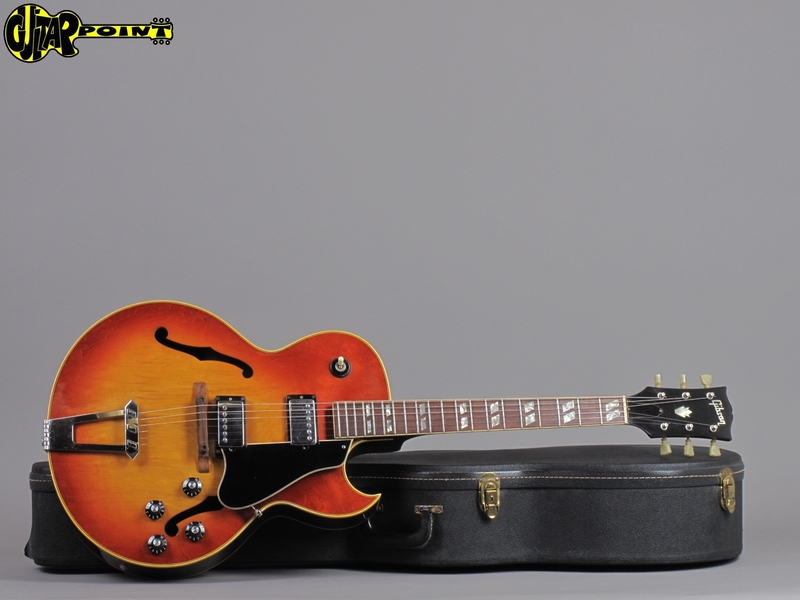 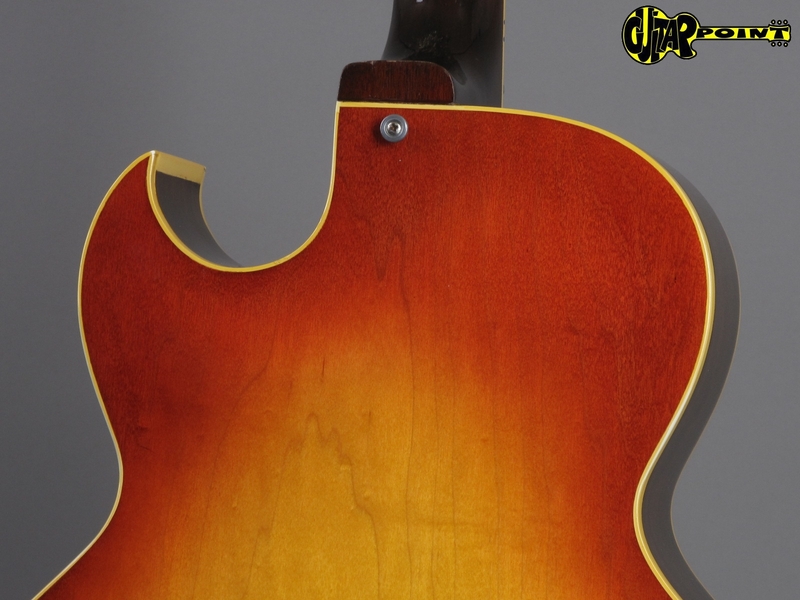 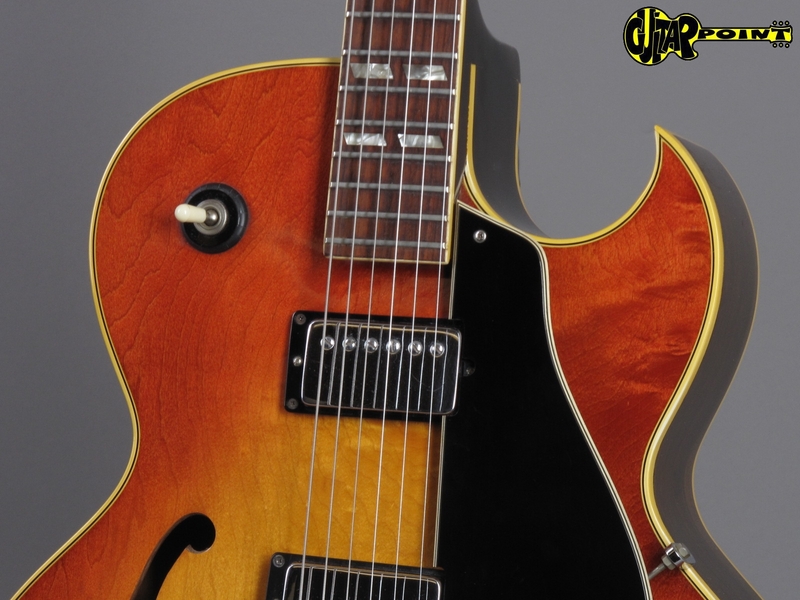 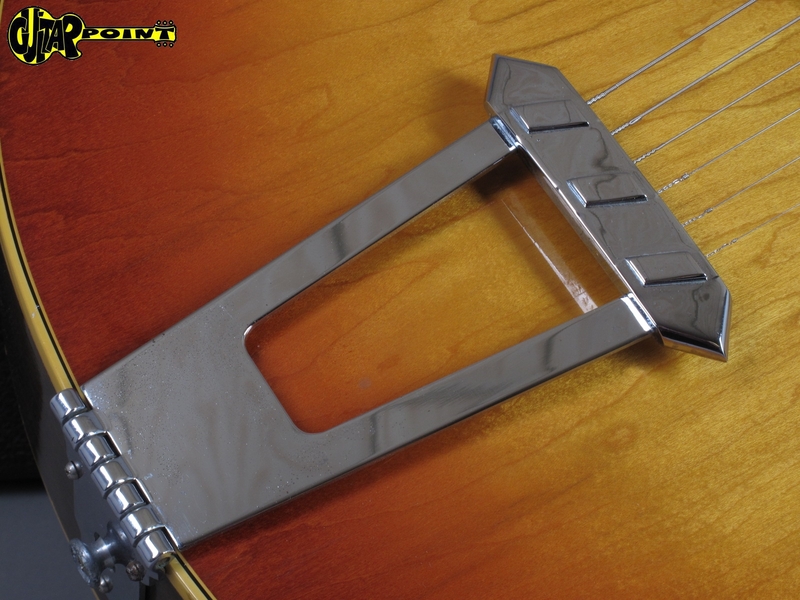 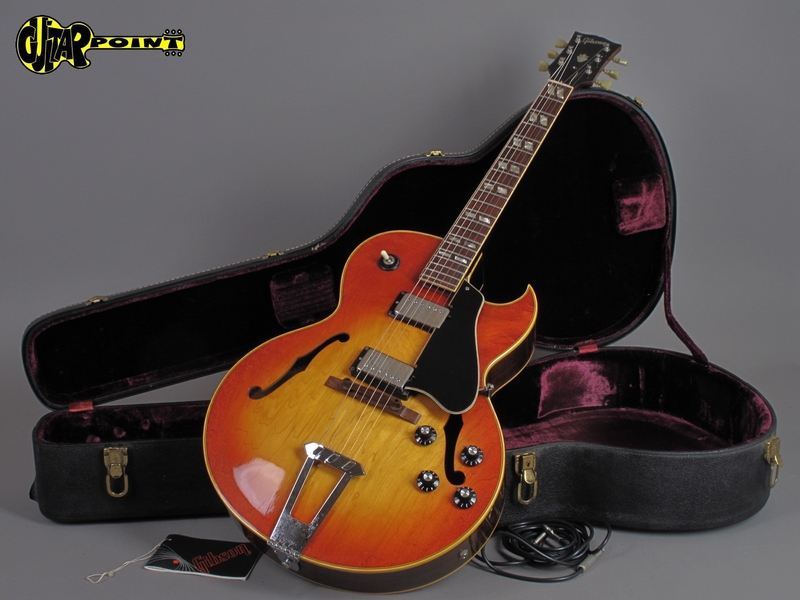 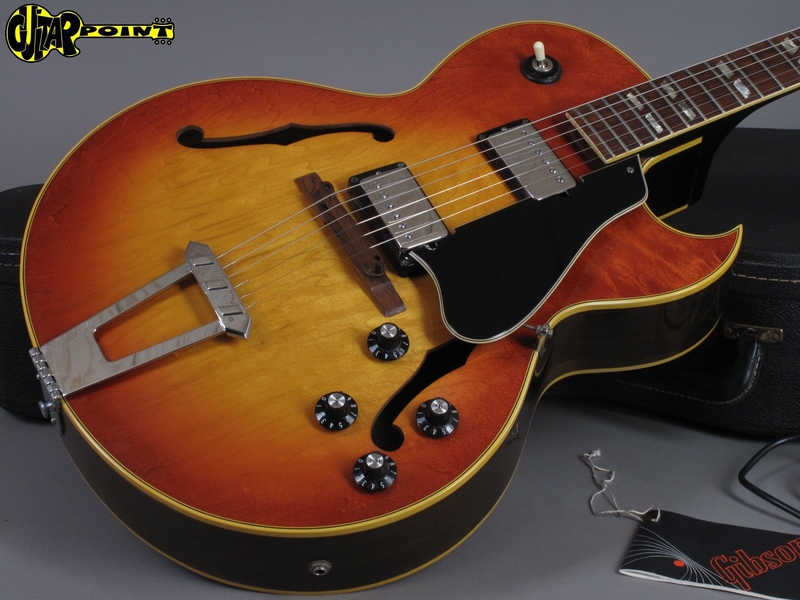 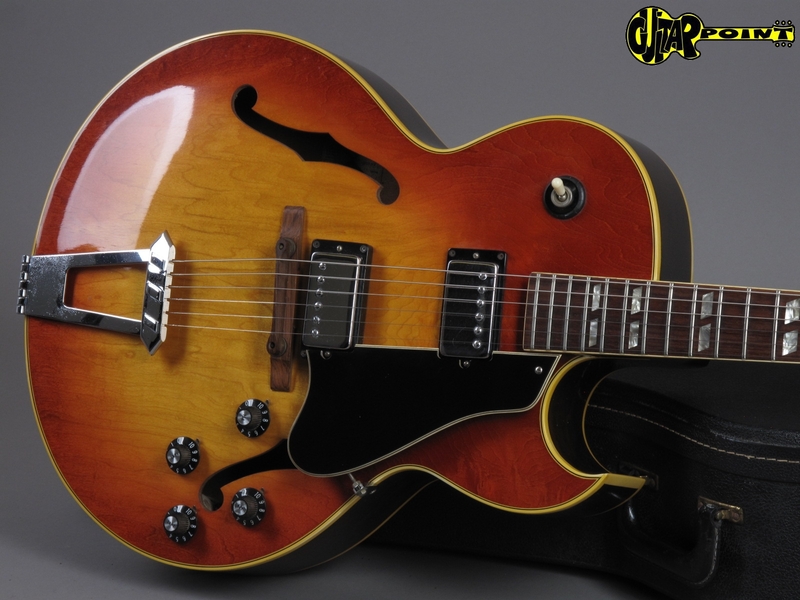 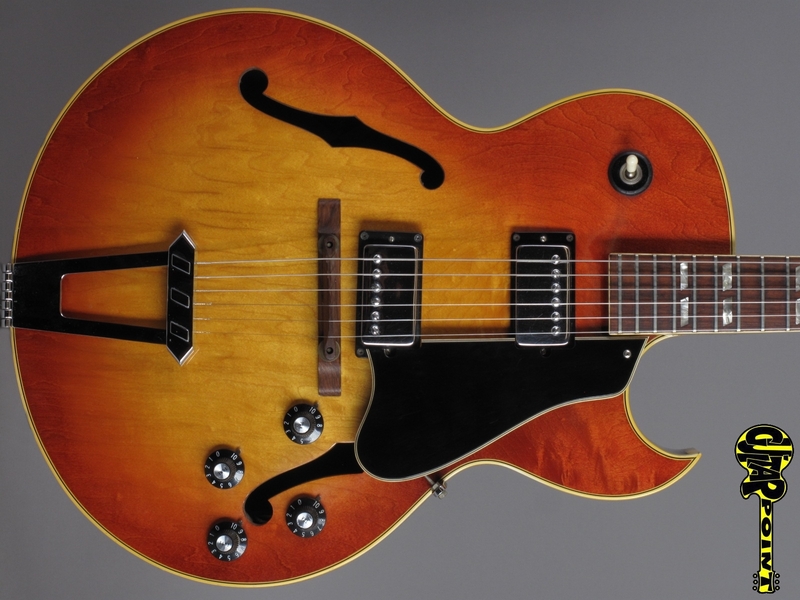 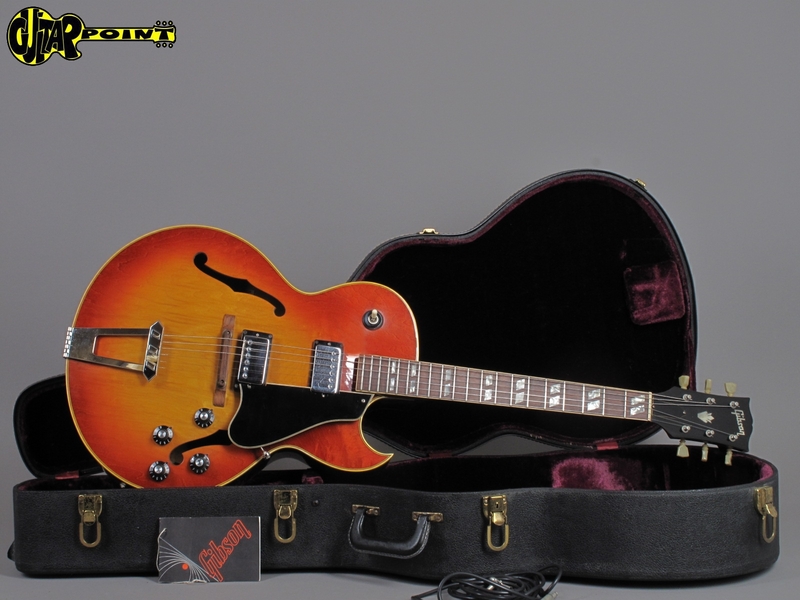 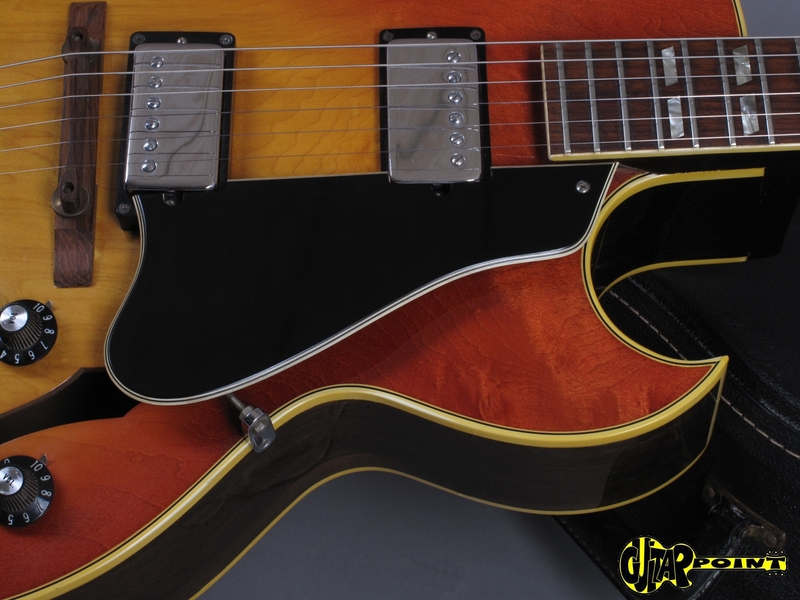 Outstanding clean 1970 Gibson ES-175 D - Sunburst hollowbody Jazz guitar, all original, except for a pro-refret job and in near mint condition. 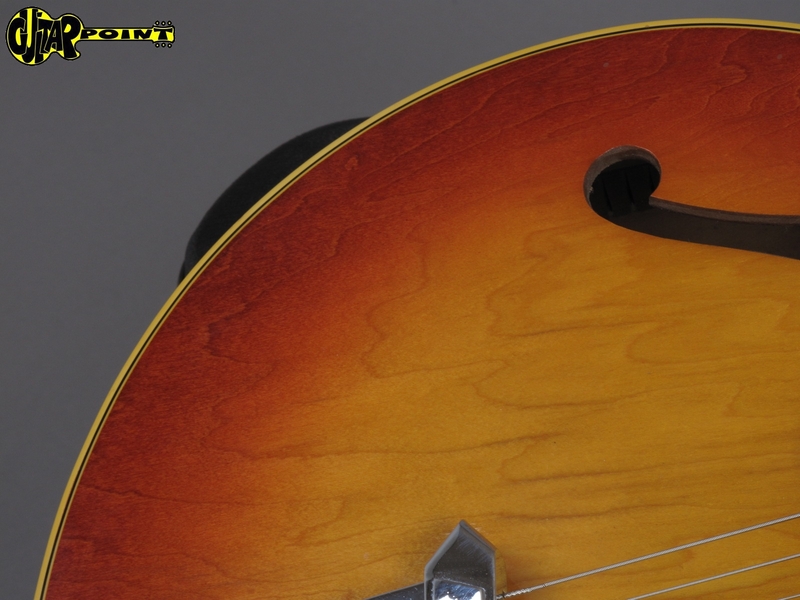 This is one of the cleanest 175 we´ve seen so far, barely any visible play-wear, strong finish with no fading, the weight is a fantastic low 3,04Kg(!) 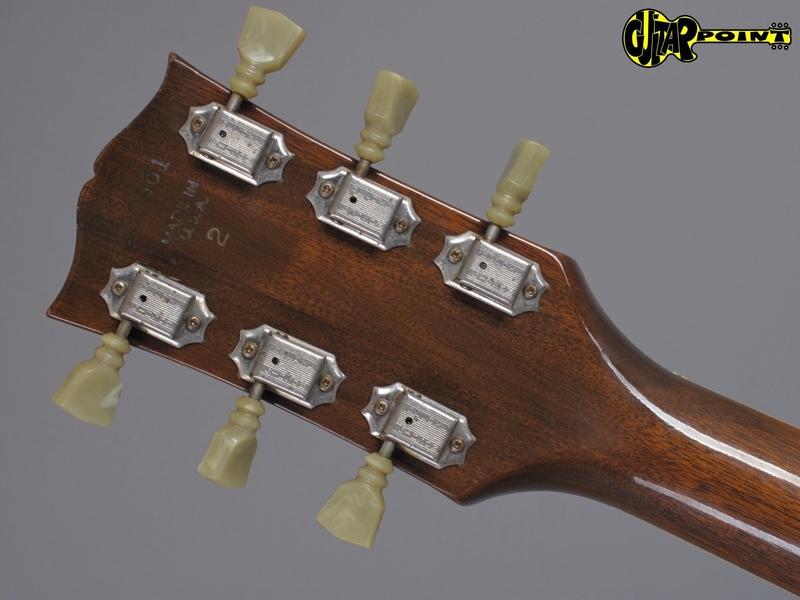 Early version without the headstock-volute, the medium-sized D-shape neck has a "pre-´65" fretboard width of 42,5mm (probably a special-oder indicated by the stamped 2 in backside of the headstock) and is fantastic to play. 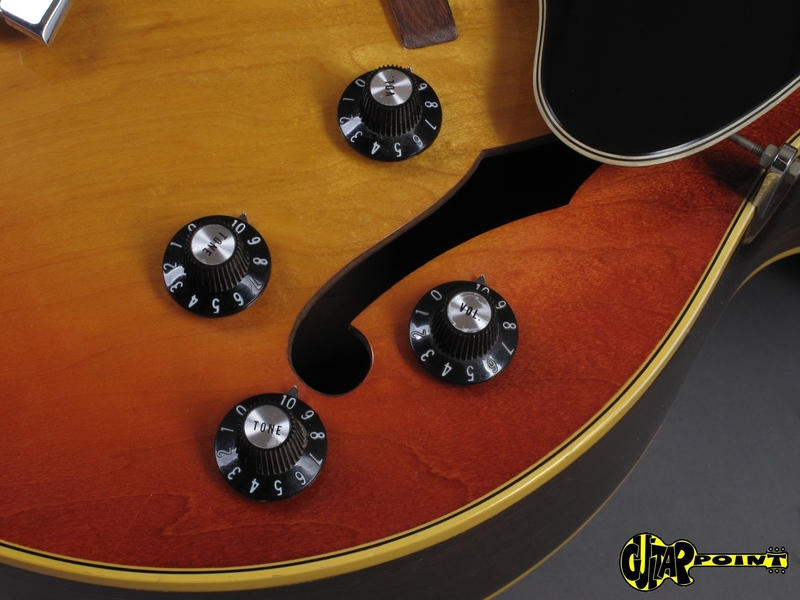 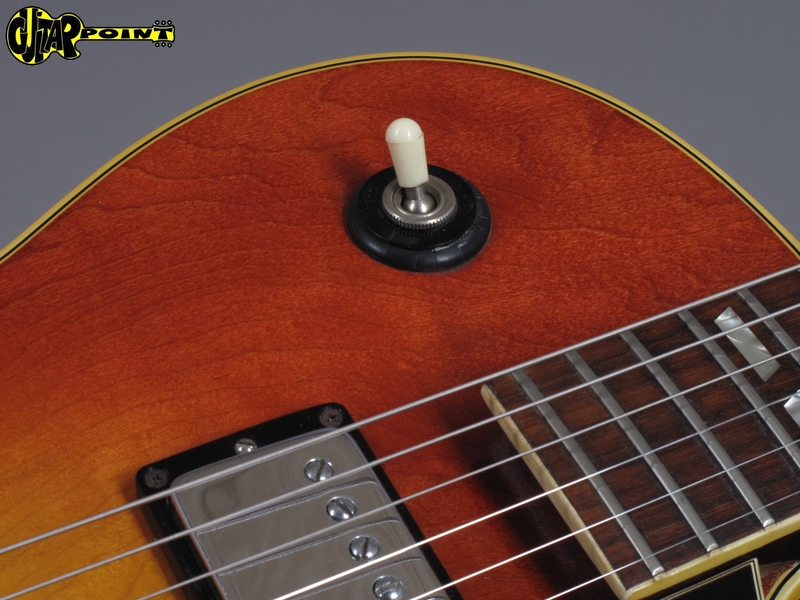 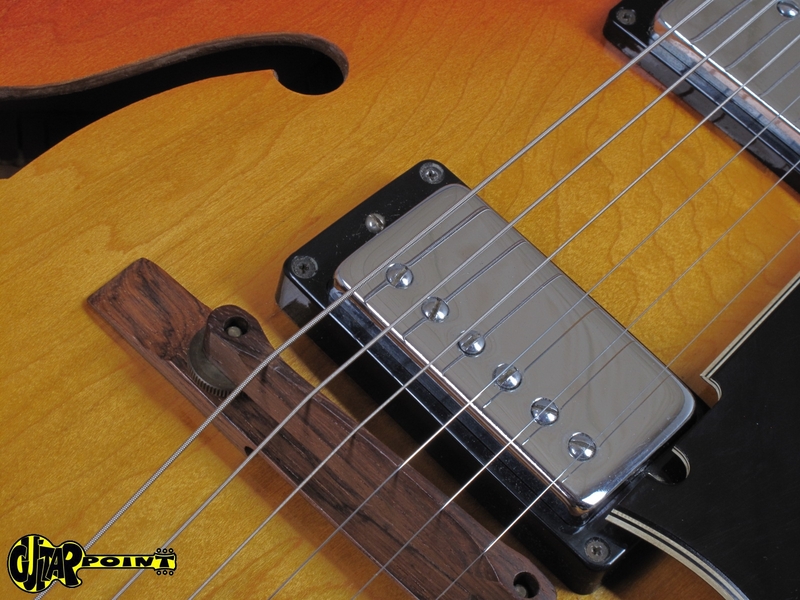 The two Gibson "Pat-Nr.-decal" humbuckers are well-balanced with outputs of 7,68K and 7,75K and sound great in that guitar! 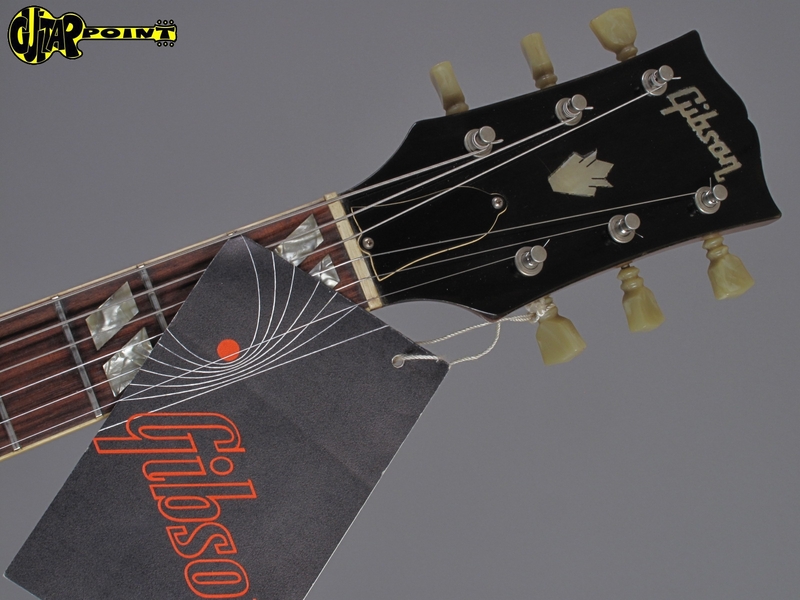 Comes including its black Gibson hardshell case with violet lining and the original Gibson Instruction-manual. 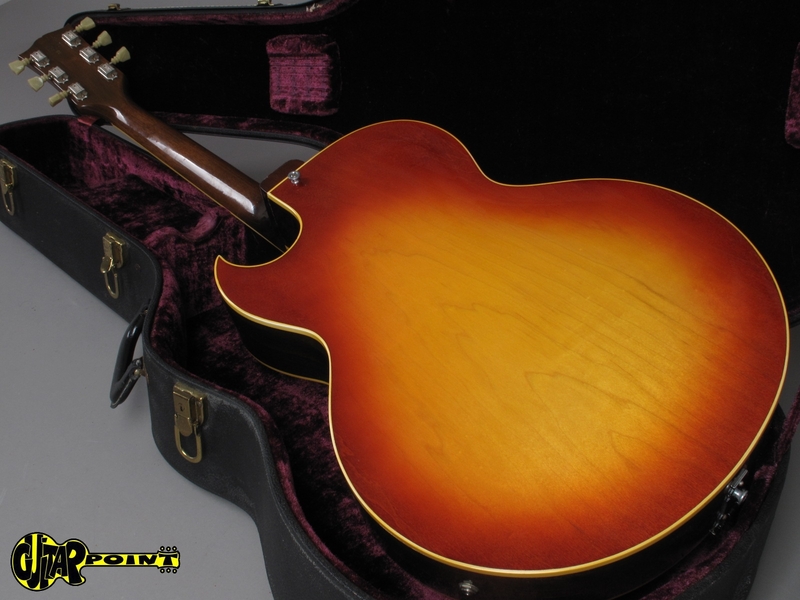 Including original Gibson hardshell case with violet lining.